This book is so touching and inspiring. It's a very difficult subject manner yet Julie writes about it with so much grace. I found myself shedding tears in some of the more touching parts. She takes us through everything that has happened to her since she had that first issue during the birth of her second son. She had warning signs before that, but like so many of us, she explained them away. She was a marathon runner and in great shape so heart trouble never really entered her mind. I could relate so much to so many of her feelings as it transpired me back to my own emergency surgery and all that transpired for a year after that. It's something that doesn't let you go and I can only imagine how it has affected her as she lives with this diagnosis day after day. 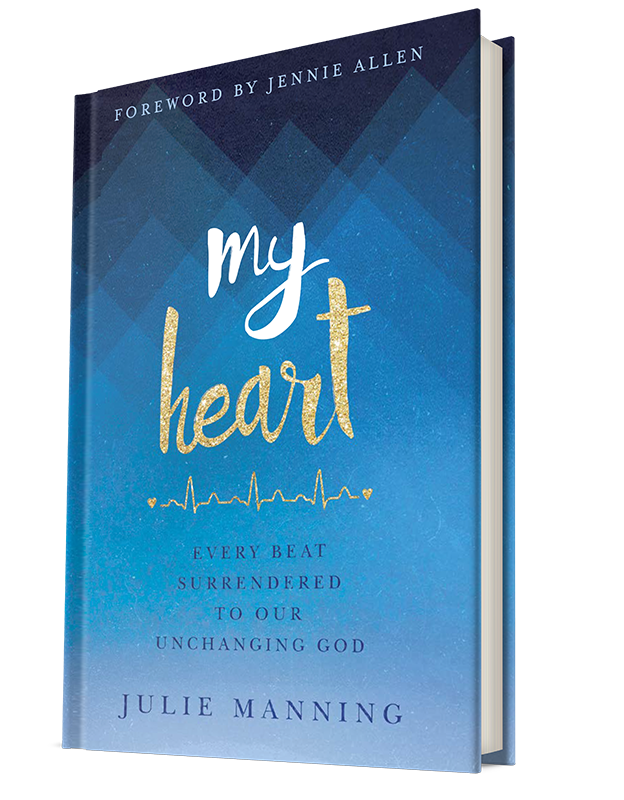 However, this is not a book about Julie's physical heart as much as it is about her spiritual heart and how she trusts God with everything that has happened and will happen. She praises Him, not only despite her illness, but because of it. 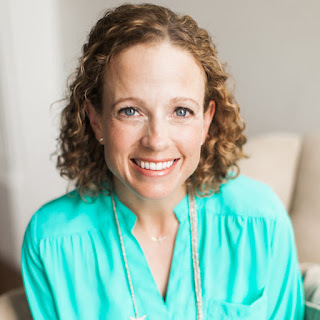 She shares from her journals and offers up prayers - she writes specifically to her sons throughout this book and it's so sweet, personal and amazing. 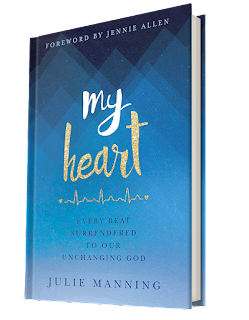 Please do watch the video I have linked under her biography as it will give you a deeper glimpse into her heart and how much she loves the Lord. I love what she says in the video, "I had a friend tell me once that I have a different type of worship to offer up to Him. So despite the circumstances we've been in, He's teaching me how to worship Him and I think it's kind of special that He's entrusted this suffering to me. To worship Him in a way I had never worshipped Him before." That's her desire and that's her desire for us. To worship the Lord in any and all circumstances. I love this book! I highlighted it extensively and I know that there are parts that I will revisit time and again as I need that encouragement on a tough day. I highly recommend this book to everyone and I hope you'll get a copy and read it. I give it 5 out of 5 stars.